Before the latest explosive development in his nomination process, Brett Kavanaugh already had a track record for telling little lies. They’re a bigger problem now, as President Trump’s Supreme Court nominee faces allegations from Christine Blasey Ford that at a high school party more than 30 years ago, he got on top of her, tried to pull off her clothes, and covered her mouth with his hand to stop her from screaming. Yes, the alleged incident happened a long time ago, and there are gaps in Ford’s memory. But her memory gaps slam up against his truth-telling gaps. In a she-said/he-said scenario, why believe him over her? During the ongoing confirmation hearing process, Kavanaugh told senators he considers Roe v. Wade settled law. But in e-mails he wrote during the Bush administration, Kavanaugh left the door open to reaching the opposite conclusion. In other words, what he wanted the public to know about his thinking as he underwent Supreme Court vetting was different from his private legal analysis. 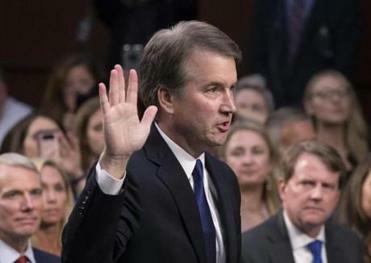 During previous judicial confirmation hearings, Kavanaugh also said “no” when asked if he received documents stolen from the Senate Judiciary Committee. But based on e-mails provided to Congress, Kavanaugh did see the stolen documents. Up until Ford’s allegation, Kavanaugh’s truth-shading on those and other matters was no big deal to most people. It didn’t bother Kavanaugh’s conservative supporters, and it certainly didn’t bother Trump, the biggest, baddest liar in the land. But as Kavanaugh faces an accusation of sexual assault, those little lies undercut something he really needs in order to survive: belief in his integrity and credibility. The Kavanaugh apple doesn’t fall far from the Trump tree. He’s absolutely a Trump kind of guy — a confirmed truth-trimmer who, once he makes it to the Supreme Court, is prepared to cast a vote against women’s rights. 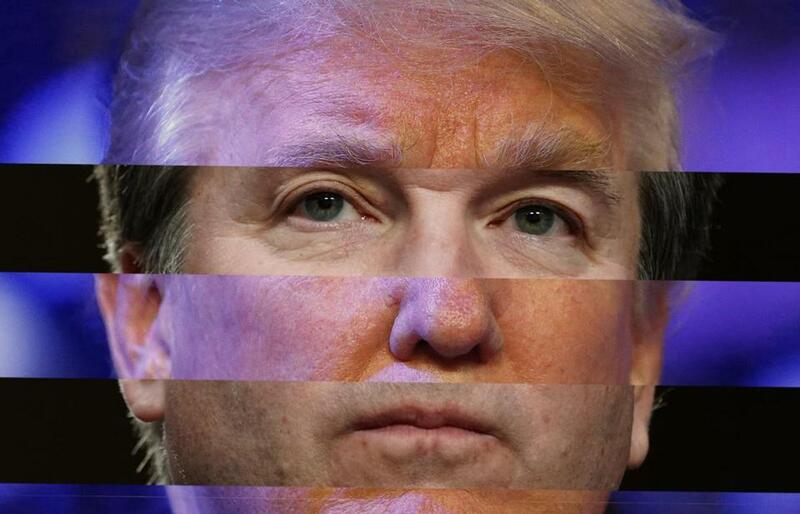 With the sexual misconduct allegation, Kavanaugh looks even more like a mini-Trump. The president has backed that type before, notably standing by Roy Moore, a US Senate candidate and former chief justice of the Supreme Court of Alabama, who was accused of sexual misconduct by nine women. One was 16 at the time of the alleged incident, and one was 14. Moore, who denied it all, ultimately lost the election to Democrat Doug Jones. Republicans abruptly laid plans for a Senate committee hearing at which Kavanaugh and the woman alleging he sexually assaulted her decades ago will testify publicly. In that case, Alabama voters decided Moore’s fate. In this case, it will be the US Senate. Kavanaugh said he’s willing to talk to the Senate Judiciary Committee, and the lawyer for his accuser said she’s willing to testify. They should both do so, under oath. Kavanaugh’s denials, so far, are meaningless and echo the Trump playbook. As reported in Bob Woodward’s new book, “Fear,” Trump told an unnamed friend who faced accusations of misconduct, “You’ve got to deny, deny, deny and push back on these women. If you admit to anything and any culpability, then you’re dead.” Trump has done that with every woman who accused him of assault or other inappropriate conduct. And Kavanaugh, too, is denying everything. “I have never done anything like what the accuser describes — to her or to anyone. Because this never happened, I had no idea who was making this accusation until she identified herself yesterday,” he said in response to Ford’s allegations. What member of the Senate Judiciary Committee wants to bet he’s telling the truth? Those lawmakers know better than the average person just how much truth this nominee for the highest court in the land has fudged. For that, Kavanaugh has only himself to blame. His little lies are catching up with him.